Illustration mashup created by Eddie Avila, utilizing the bird icon by Sara Novovitch, ES, Africa icon by africa by Nikita Kozin from the Noun Project, and share icon by Share by Alequinho from the Noun Project, and the Word It Out word cloud program. 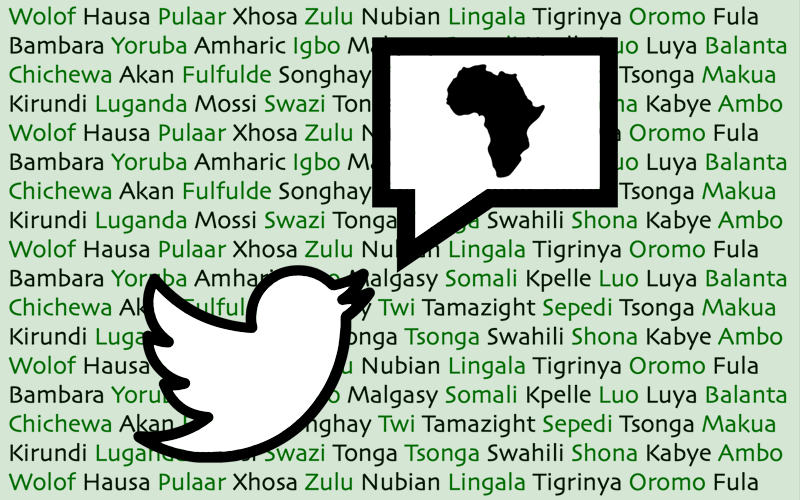 To coincide with the International Year of Indigenous Languages 2019, Rising Voices together with partners, launched a new Twitter campaign to highlight and amplify the voices of African language digital activists leveraging the power of technology and the internet to promote and revitalize African languages. The campaign kicked off on March 20, 2019 with the first host, Kọ́lá Túbọ̀sún from Nigeria, a linguist and creative writer who has been working on the YorubaName.com project among other initiatives. For the rest of 2019, a different language activist and advocate will be sharing their stories on the Twitter account @DigiAfricanLang. Two more indigenous language digital activists, Meet Tajëëw Beatriz Díaz Robles and Meet Sasil Sánchez Chan recently managed the @ActLenguas account to share insights into their work promoting the Mixe and Maya languages, respectively, as part of a Twitter campaign to promote linguistic diversity online in Latin America. The latest edition of the DigiGlot Newsletter highlighted some recent news about artificial intelligence and what it means for indigenous and minority languages, as well as notes about an updated language mapping project in Australia. #ViernesTradicional is a online campaign found on Instagram, Twitter, and Facebook highlighting and safeguarding Mexico's rich cultural diversity found in clothing. For all seasoned investigative journalists: If conservation and environmental issues are your forte, you might want to consider this position of an investigations editor at Mongabay, a non-profit news site focusing on conservation and environmental science. This is a remote position requiring a full-time commitment. Applications are accepted on a rolling basis. The Africa Internet Summit (AIS), a regional ICT conference that is held annually, is calling for presentations for its 2019 event (AIS'19). 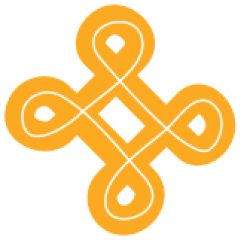 If you are interested in sharing your knowledge with the Africa ICT community, please visit their site for guidelines, as well as their topics of interest. Proposals due: April 5, 2019. Thanks to Rami Alhames and Eddie Avila for contributions to this newsletter.